It's a beautiful day today for Hollywood superstar, Meghan Markle as she officially say I Do to Prince Harry of Great Britain in a fantastic ceremony. 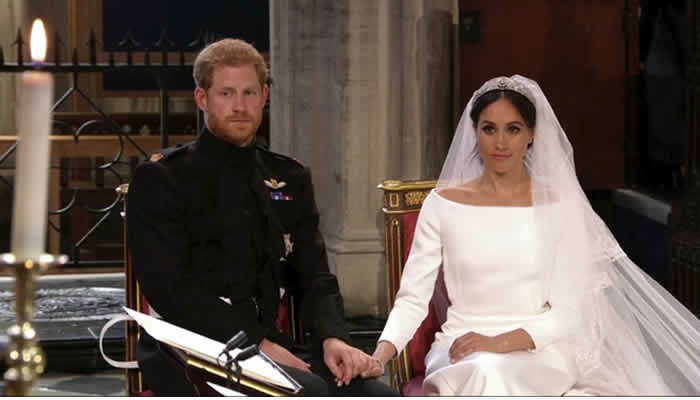 Prince Harry has finally married Meghan Markle in an elaborate wedding attended by the world's most powerful people. 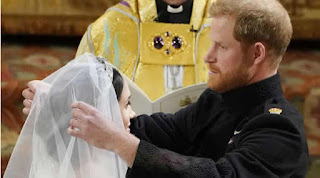 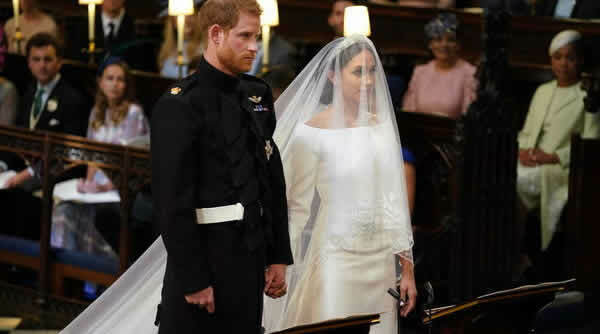 As reported by Ellen Manning for Yahoo News UK, the 36-year-old bride wore a white gown designed by Clare Waight Keller for Givenchy, with a sparkly tiara for her wedding to Prince Harry today. 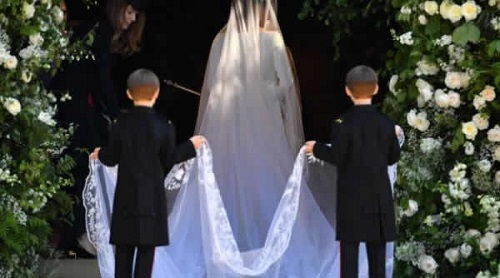 “Keller was named the first female Artistic Director at the French fashion house last year,” Manning reported. 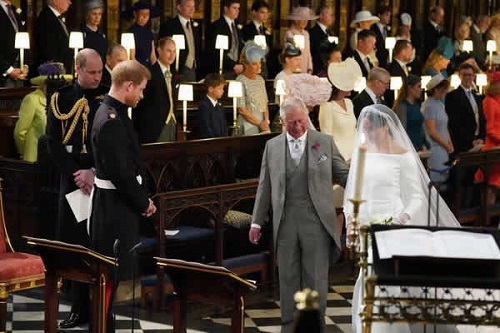 According to a statement released by Kensington Palace, Meghan first met the designer back in early 2018 to collaborate on a ‘timeless’ and ‘elegant’ gown and also wished to highlight the success of the leading British talent by wearing the brand for the high-profile event. 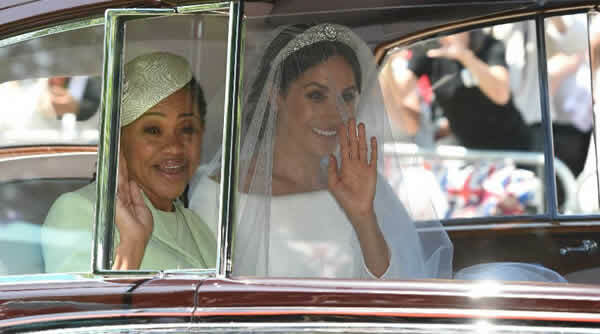 The couple held hands and exchanged smiles during the ceremony. 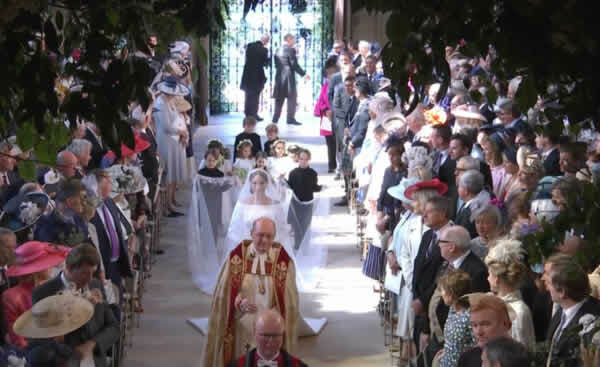 After saying their vows and exchanging rings, they were pronounced husband and wife by the Archbishop of Canterbury.